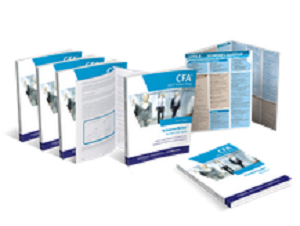 Based on our proven learning strategy of prepare, practice, and perform, the Level II SchweserNotes™ Package is a key component to a successful CFA® exam study program. Our basic study package combines candidates’ favorite study tool, SchweserNotes™, with three full-length practice exams and the go-anywhere QuickSheet. Connect with expert CFA instructors and use your Study Calendar to create a detailed study plan.